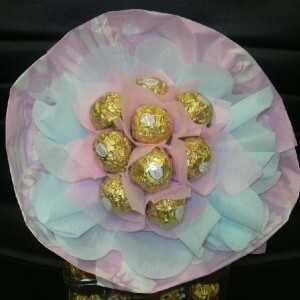 9 pcs of Ferrero Rochers individually Wrapped in pink tissue papers. 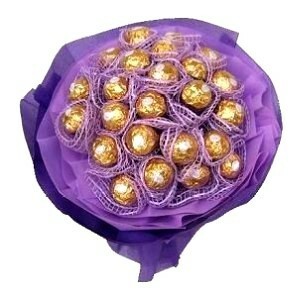 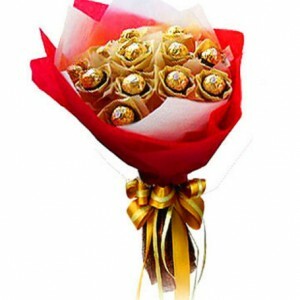 If your loved one loves chocolates more than flowers than this is the right choice for U. 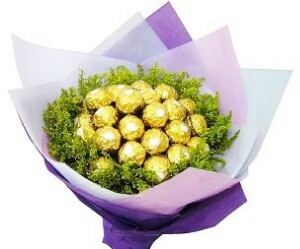 This bunch contains 24 pcs of ferrero rochers surrounded with lot of greens and wrapped in tissue paper.